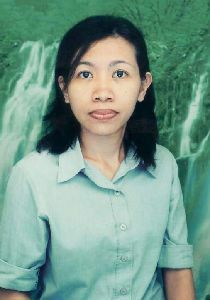 About me is very simple and sweet though I'm not a very pretty girl. I'm close to ordinary, more like a girl who enjoys singing, reading as well as share the jokes with our brothers and sisters. Consider myself an easygoing type, rather talkative. I like very much playing with kids. For sure, Iam not a rich girl but I work for my socalled comfy living and think i'm generous enough to help friend in need. I do pioneers every now and then, whenever I get the free space from the work. I always lookforward to have a family of my own, to share every nice and greatthings fromJehovah God in my life with, someday. Iam looking for the person having high motivation in spiritual thing and suporting to each other in spiritual goals too. I prefer for someone whose married before and have kids, but not a must. I expect a working man, regardless the position that he's in. care_625 hasn't asked any friends to write a recommendation yet.